Artificial Intelligence for Autonomous Networks introduces the autonomous network by juxtaposing two unique technologies and communities: Networking and AI. The book reviews the technologies behind AI and software-defined network/network function virtualization, highlighting the exciting opportunities to integrate those two worlds. 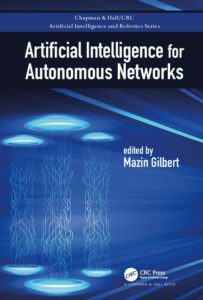 Outlining the new frontiers for autonomous networks, this book highlights their impact and benefits to consumers and enterprise customers. It also explores the potential of the autonomous network for transforming network operation, cyber security, enterprise services, 5G and IoT, infrastructure monitoring and traffic optimization, and finally, customer experience and care. 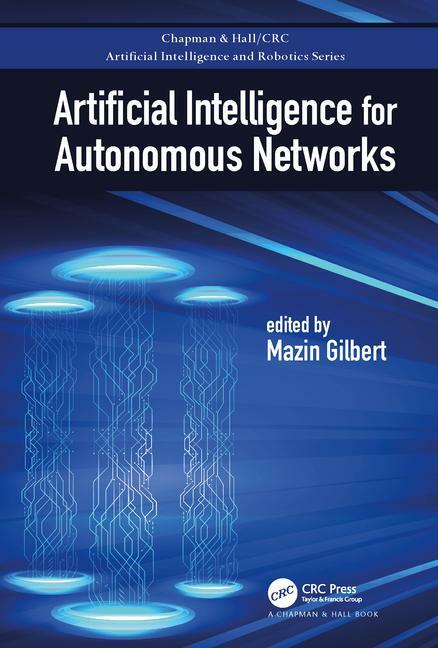 With contributions from leading experts, this book will provide an invaluable resource for network engineers, software engineers, artificial intelligence, and machine learning researchers. Dr. Mazin Gilbert is the Vice President of Advanced Technology at AT&T Labs. He leads AT&T’s research and advanced technology of its software-defined network. In this role, Mazin oversees advancements in networking and IP network management, machine learning and artificial intelligence, information systems and visualization, algorithms and optimization, and scalable, reliable software platforms. Mazin is the technical chair for the Linux Foundation ONAP, where his organization is actively contributing code and leading over half of the TSC projects. Mazin and his team are co-founders of the open source projects on Acumos Deep Learning and Akraino EdgeStack that were recently announced by the Linux Foundation. They are also contributors to OpenStack, OPNFV, ODL, among others. With more than three decades of experience under his belt, Mazin has worked in the industry at AT&T Labs and previously Bell Labs, BBC and British Telecom. He’s also worked in academia at Rutgers University, Princeton University and Liverpool University. He became an IEEE Fellow in 2012. Mazin earned a bachelor’s and a doctoral degree, with first-class honors, in electrical engineering from the University of Liverpool. He also earned an MBA for Executives from the Wharton Business School of the University of Pennsylvania. Outside of his technology career, Mazin is an entrepreneur owning six limited liability companies specializing in commercial and residential real estate and the dental industry. He also serves on a number of industrial boards including the International Computer Science Institute. In his free time, Mazin loves to spend time with his daughters and is an avid runner.